Halls in Search for Mzansi’s Coolest | OMFCC – The Original Multi-Faceted Consultant of Cool! – Is That You or Buddy? What does ‘being cool’ really mean? Is it your popularity? How you follow trends? Your fashion sense? Or simply how many followers you have? No, cool is more than that. It is about being authentically you while, levelling up, doing the most and living life by your own rules. which is why Halls, Mzansi’s invigorating candy, is searching for the coolest person for the job of OMFCC … the Original Multi-Faceted Consultant of Cool! For the next six weeks, Halls will be looking for the slayer of cool through a series of weekly challenges. There are 3 challenges to get involved in. To enter, fans must participate in one that matches their cool and submit a video or still that unleashes their originality, tagging Halls SA with #HallsOMFCC. 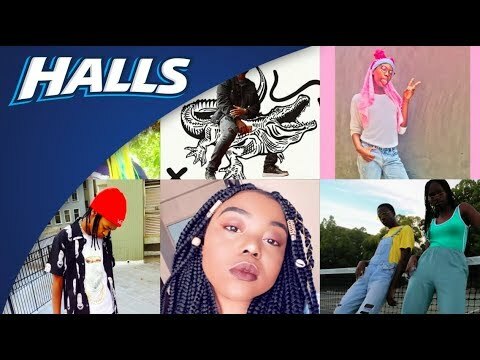 Halls has chosen a few of Mzansi’s most authentic personalities: Rouge, Priddy Ugly, Bontle Modiselle and Moonchild to run the weekly challenges so you know the competition is certified COOL. The OMFCC competition will be run on Halls SA social media pages from 25 March to 26 April. Every week a video will be released announcing the challenge and how to get involved. Every challenge, will have a round up with two finalists who will be awarded R5000 each and will be placed on a leader board for the OMFCC final. All six finalists will undergo the last challenge titled “The Interview” to go head to head for the title of Halls OMFCC. What’s even better is that everyone who votes for their favourite finalist will stand a chance to win prizes for themselves. Our OMFCC will not only take home the title of being the Coolest in Mzansi, but will partner with Halls while earning R50 000 for a month of consultancy, live it up in a fresh apartment and be driven around in a cool whip. Our OMFCC will be given data for days and party passes to SA’s hottest events. For more information, visit the Halls Facebook Twitter Instagram social media pages. Live life with the Power of Cool.